Chicken & Egg Pictures, which was founded in 2005 by Judith Helfand, Julie Parker Benello, and Wendy Ettinger to support women documentarians, is the recipient of this year’s IDA Amicus Award, which goes to an individual or organization that has been a great supporter, financially or otherwise, of documentary filmmaking. Documentary spoke with Wolfson via email about how she came to Chicken & Egg, the future of the organization, and how Chicken & Egg has impacted the film industry. What brought you to Chicken & Egg Pictures? 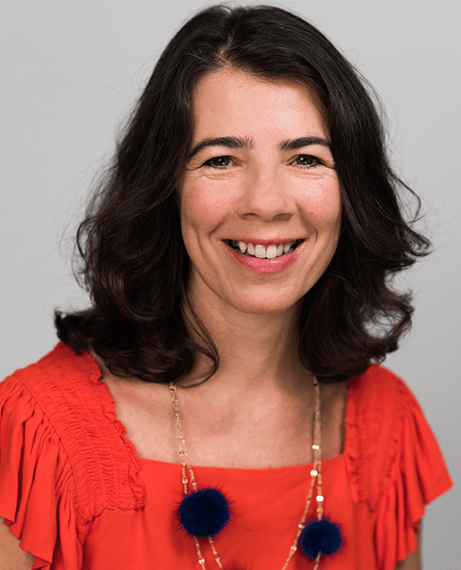 Jenni Wolfson: Before Chicken & Egg Pictures, I came from the world of human rights. I've worked for the UN and UNICEF in places like Rwanda and Haiti to investigate human rights abuses and respond to humanitarian crises. I'd compile reports of the injustices I investigated, and these reports would land on the desks of some of the most important political figures in the world. But something I've really come to learn from my work is that that kind of work, as important and crucial as it is, is not enough. I was drawn to Chicken & Egg Pictures because the women we support aren't only documentarians, and they aren't just documenting; they are artists, activists and storytellers through and through. I was excited to join an organization that had a solid reputation amplifying the voices of women directors, yet was open to shape-shifting and growing as needed. I was inspired to work with and learn from the three co-founders—Julie, Judith and Wendy—and to have the space to take Chicken & Egg Pictures in new directions. Chicken & Egg supports women nonfiction filmmakers who are committed to social change. Can you share some examples of the impact grantees have had on a local, national or global level? I love that we get to work with women from all over the world who are tackling a wide variety of issues from reproductive rights to criminal justice to immigration. So many of these women dedicate years to making their film, and then they dedicate more time to making sure these stories reach the right audiences. Recently, Jennifer Brea, director of Unrest, comes to mind. Jen and her team have been building a grassroots community of activists from way before the film was actually completed to help people living with Myalgic Encephalomyelitis (ME), commonly known as "chronic fatigue syndrome." Having the condition herself, she's been helping to connect people who formerly lived in isolation as a result of ME. 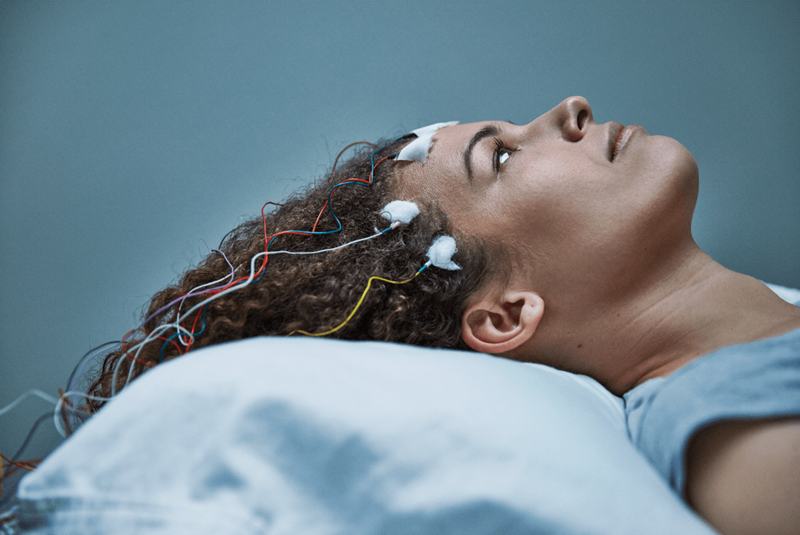 She also holds free screenings and offers free tickets for medical professionals to see this film, which is in turn changing the narrative about this condition within the medical community—a condition that's been historically misunderstood and dismissed. It's now become more than a film; it’s a movement. If I may make a plug for it, you should check out https://www.meaction.net to learn more. That's just one example. If you had a day or two, I can give you a few more. How has the work of Chicken & Egg impacted the film industry? I believe that Chicken & Egg Pictures is one of several documentary organizations that have drawn attention to the need to provide support to voices underrepresented in the film industry. For Chicken & Egg Pictures, our attention has been towards women directors. And within that we have focused on women from all walks of life—across race, class, sexual orientation, physical ability, age, geography, etc. We have created a model that I hope is having some ripple effects on the industry where we believe that a combination of grants, creative and professional support through labs and mentorship, a nurturing community, and access to key influencers is the recipe for filmmaking success. We see many other organizations—the IDA, Firelight Media and the Sundance Institute, to name a few—also providing much-needed support to filmmakers. I'm particularly proud of the attention we have given to the ongoing challenge of sustainability. Through our Breakthrough Filmmaker Award program, we have provided an unrestricted grant of $50K and a yearlong program to women who are ready to leap into the next stages of their careers, to break through the glass ceiling, and increase their access to influential networks, resources, and creative and financial opportunities. 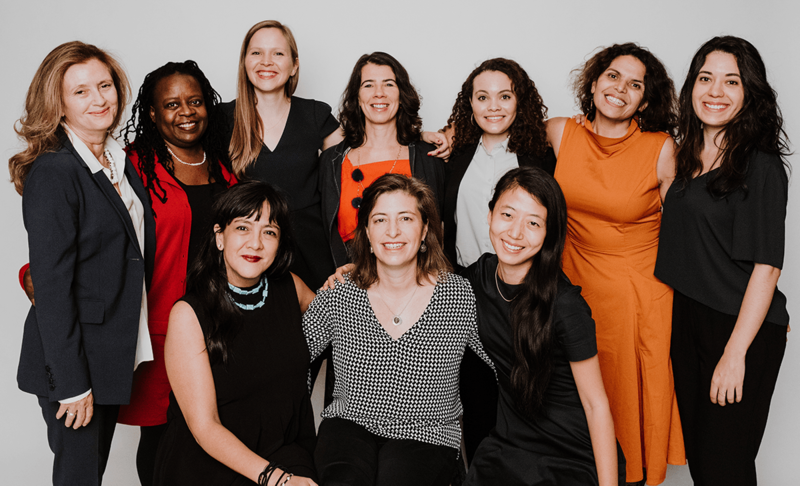 With our newly launched AlumNest program, supporting the more than 300 women filmmakers in the Nest, we are seeing more and more how these women are lifting up one another, creatively collaborating and providing each other with a nurturing community. Documentary filmmaking isn't an easy path. The women we support are telling some of the toughest stories out there, making sacrifices and doing this work with insufficient financial, creative and professional support. At Chicken & Egg Pictures we want to be on this journey alongside these women every step of the way, and so we have committed equally to supporting the film project and the filmmaker for as long as we can. How has Chicken & Egg evolved when it comes to your funding strategy and working with filmmakers? We are fortunate that Chicken & Egg Pictures has always had a strong community of supporters who are passionate, generous and loyal. When I joined Chicken & Egg Pictures five years ago, the majority of our funding came from individuals and family foundations. And we are so grateful to those early pioneer supporters who gave general operating support and often multi-year support, which enabled us to grow. We have been able to significantly expand the number of individuals supporting us. And we have also been able to expand to receive institutional support, (e.g. MacArthur Foundation, Knight Foundation, Academy of Motion Pictures Arts and Sciences), government support (e.g. NEA and NYSCA), and corporate support (e.g. LUNA/Cliff Bar). On second thoughts, I think you might be asking about how we fund our grantee filmmakers. In that case, we have evolved a lot. Over the years as we have grown, we have been increasing our average grant to filmmakers. In our two signature programs, we give $35k and $50K respectively, and now we are trying to increase that amount again. We also used to run workshops year-round for all filmmakers to attend when they were able. Now our grantee filmmakers go through yearlong programs together as a cohort and we fully fund their participation and travel to these labs throughout the year. We run these labs in both beautiful retreat settings, as well as in conjunction with film festivals, providing our grantees with opportunities to grow their artistic practice and pitch their films to key people in the industry. Another thing that has changed is that in conjunction with Creative Capital, we provide all of our grantees with training on career development, whether they are first-time filmmakers or fourth-time filmmakers. Filmmakers have to wear many hats, and we want them to be comfortable in them all as early as possible. So we don't just focus on artistic practice; we also focus on business development to encourage sustainability at all stages. What does the future of Chicken & Egg look like? Where do you see room for growth? In January 2019 we will be launching a new three-year plan. We are deepening our signature programs: Accelerator Lab for first- and second-time filmmakers, and our Breakthrough Filmmaker Award for experienced filmmakers. We are also launching new programs that will support directors to make shorts and series—something we've come to see has significant industry and audience demand, and that also offers tremendous opportunity for creative exploration and social impact. And we're launching a new completion program to help filmmakers—both financially and with professional support—who are in post-production and gearing up to launch their film into the world. We are hatching other projects too, which we look forward to unveiling in the New Year. Basically, we remain committed to leveling the playing field, and ensuring that Nest-supported filmmakers have what they need to make their best work in the most impactful way. It's a very exciting, very crucial moment for women in media right now—and we at Chicken & Egg Pictures are very ready to seize this moment. Katie Bieze earned her bachelor's degree in Literature with certificates in Documentary Studies and Film/Video/Digital from Duke University. She earned her master's degree in Film and Video from American University. She currently resides in Washington, DC.